Lungworms: Lungworm infections in dogs are usually caused by the parasitic nematode Oslerus osleri. They have been found in the United States, South Africa, New Zealand, India, Great Britain, France, and Australia. Adult lungworms live in nodules in the trachea of dogs, and larvated eggs laid by adults hatch there. 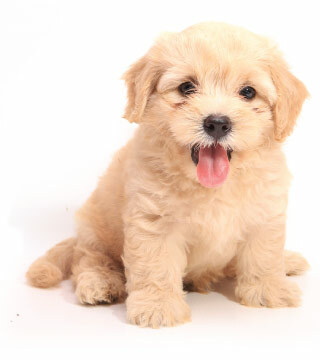 Pups become infected from the feces or saliva of an infected dog (for example, when an infected mother licks her pups). Infection is infrequent in dogs. Signs of lungworm infection range from moderate, dry coughing with slightly increased respiratory rates to severe, persistent coughing and respiratory distress or even failure. Infections with no visible signs can also occur.